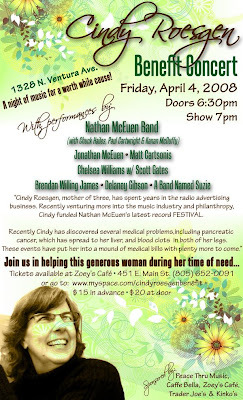 Before I blog about my trip to the doctor yesterday, I wanted to put in a plug for the Cindy Roesgen Benefit Concert. Cindy’s story is outlined if you click on the above picture. She’s the one who financed my friend Nathan McEuen’s last album “Festival,” and is currently suffering from a myriad of maladies including Pancreatic Cancer. If you’re in the Southern California area and want an evening of amazing music…please attend! As for me and my comparatively minuscule ailments…I went to the doctor yesterday. Dr. Monroe was on vacation, so I met with his officemate Dr. Sikorski. He’s like the drunk uncle you don’t really want to bring out into public, and you can’t tell whether his jokes are to be taken at face value or are an innuendo. But anyway, I had finished my Z-Pak for the tonsillitis on Tuesday, and still didn’t feel better. 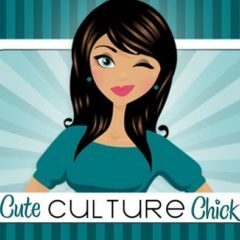 He checked me out, and said that I had an eye infection…as a result of a sinus infection…as a result of an ear infection…as a result of pharyngitis. My nose was so plugged up that instead of me blowing my nose to get rid of the snot…it was oozing out my tear ducts. Gross, huh! He sent me out with scripts for a stronger antibiotic, decongestant and opthalmic drops. I’m not contagious, and will be taking it easy until I leave for Utah on Monday. Also…Michigan got 8 inches of snow on the second day of Spring.